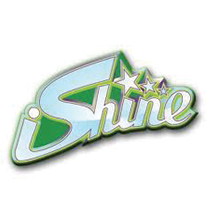 iShine provides families of faith a new style of Christian entertainment. You may be aware that 85% of today’s high school youth will leave the church never to return. However, did you know the decision was made before their 13th birthday? Christian families raising pre-teens are engaged in a spiritual and cultural battle every day. Statistics reveal that today’s tweens (ages 7-14) consume on average over 80 hours of media a week. Unfortunately, the vast majority of media is openly antagonistic to the basic values that families of faith cherish. iShine’s Tween Central provides the latest in modern media for tweens and their parents. Our content is relevant, engaging and practical, allowing for families of faith to enjoy an entirely new style of Christian entertainment and ministry. Ideal for today’s tween and their parents, Tween Central can make a huge difference in your family and provide a way to offset the current shift in cultural values and education. Tween Central also provides tween ministry leaders and pastors with biblically-based teaching content and media resources ideal for engaging today’s tween youth. Weekly – Receive three posts from iShine’s Road Trip Parenting blog, where parents and pastors of tweens will receive practical advice and tons of encouragement. Monthly – Enjoy an entire sitcom episode from iShine’s award winning television series KNECT TV. Join students at the iShine Academy as they hilariously explore different tween topics while living at the whacky performing arts school. Monthly – A day after receiving your monthly KNECT TV episode, Tween Central Channel subscribers will receive a related “i-Topix” Hi-Definition video lesson featuring Christian celebrities and artists. Monthly - Two days after receiving your monthly KNECT TV episode, subscribers will receive an “It Happened to Me” video clip, applying scriptural truth from the KNECT TV series. Monthly - Three days after receiving your monthly KNECT TV episode, subscribers will receive a Music Video featuring iShine Artists like Spencer Kane, Mission Six, The Rubyz and Abigail Duhon.